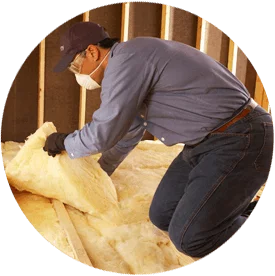 Do you need to install insulation in your warehouse in Eau Claire, Sheboygan, Madison, Milwaukee, Green Bay or surrounding areas in Wisconsin? Alpine Insulation works with local businesses that need to insulate their warehouses and manufacturing facilities. For temperature control and comfort—and increased energy efficiency—in commercial workplaces, there is almost nothing better than insulation installed by our professionals! Don’t wait—contact Alpine Insulation today by phone at (866) 261-1090, or contact us online for warehouse insulation installation in Southern and Central Wisconsin! We install high-quality insulation that can help you maintain more comfortable temperatures in non-air conditioned spaces, reduce energy costs and save money all year round. Whether you need insulation installers for a new industrial construction project or you need to remove old materials and re-insulate your warehouse, Alpine Insulation can help.